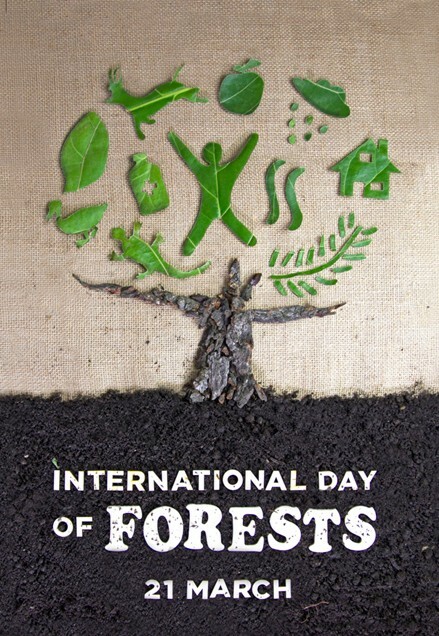 This global celebration of forests provides a platform to raise awareness of the importance of all types of woodlands and trees, and celebrate the ways in which they sustain and protect us. This year we highlight the importance of wood energy in improving people’s lives, powering sustainable development and mitigating climate change. Wood is a major renewable energy source – Wood provides the world with more energy than solar, hydroelectric or wind power, accounting for roughly 45 percent of current global renewable energy supply (27 percent of total primary energy supply in Africa, 13 percent in Latin America and the Caribbean and 5 percent in Asia and Oceania). Wood energy powers economic development – Almost 900 million people, mostly in developing countries, are engaged in the wood-energy sector on a part- or full-time basis. Modernizing the wood energy sector can help revitalize rural economies and stimulate enterprise development – greater investment in wood energy production and advanced wood fuels can provide revenue to finance better forest management, more growing forests and more jobs. Wood and trees contribute to optimal urban living and lower energy bills – Strategically placed trees in urban areas can cool the air by between 2 to 8 degrees C.
Wood energy mitigates climate change and fosters sustainable development – Globally, forests hold an energy content approximately 10 times that of the world’s annual primary energy consumption. They thus have significant potential as renewable resources to meet global energy demand. Forests provide clean air, water and energy. Sustainably managed forests can provide renewable and carbon neutral energy for a greener future. Forests for energy, now and in a future global green economy – Greater investment in technological innovation and in sustainably managed forests is the key to increasing forests’ role as a major source of renewable energy. In this way, we invest in our sustainable future, in meeting several Sustainable Development Goals and in growing a green economy. Increased areas of sustainably household and community woodlots and the use of clean and efficient wood stoves can give millions more people in developing countries access to cheap, reliable and renewable energy.